The past few years, I have been enjoying trying my hand at some fun cake creations! 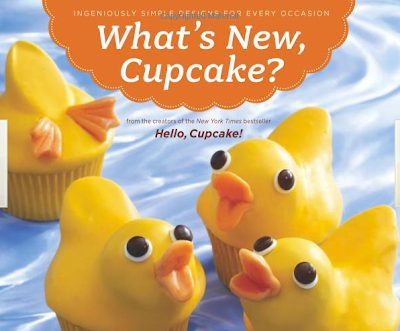 So, for any of you like me who find yourself secretly aspiring to be an “Ace of Cakes” or “Cake Boss“, you must get this book: “What’s New Cupcake?”. My mom happened upon it at Target, just in time for my birthday. It was such a great present and is sure to be a gift that keeps on giving. In the book, they show you everything used (which is virtually all edible and easy to use–not just the fancy rolled fondant creations seen on all the shows) and the best part is that the majority of the ideas could really be used for any cakes, not just the “cup” variety. And, what is AWESOME is that right now at Amazon, you could get both books by these creative authors for the price of one!! 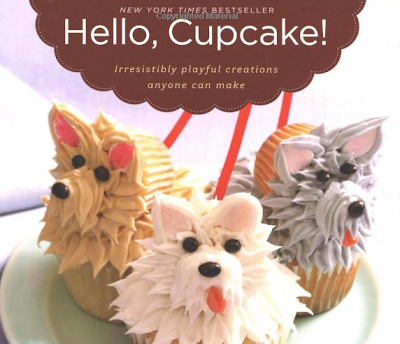 The original book is “Hello, Cupcake”. These would make GREAT gifts for the upcoming holidays or a good buy for yourself before the holidays as there are disgustingly cute ideas for fall, Halloween, Thanksgiving, Christmas, etc!! « P is for pumpkins! I totally love those books! You have such a talent with cakes! The ocean themed cake was especially awesome! Hey do you read Family fun? There are always cute cake ideas in there! Oh my goodness, your cakes are so adorable! :) I actually made Valentine's cupcakes today and had so much fun with it….I'd love to learn more, and these books look great! I'm lovin' your jungle theme cake. :) So cute! I am in love with that catapiller cake! Great job.